1 Bedroom Terraced House For Sale in Alloa for Offers Over £65,000. 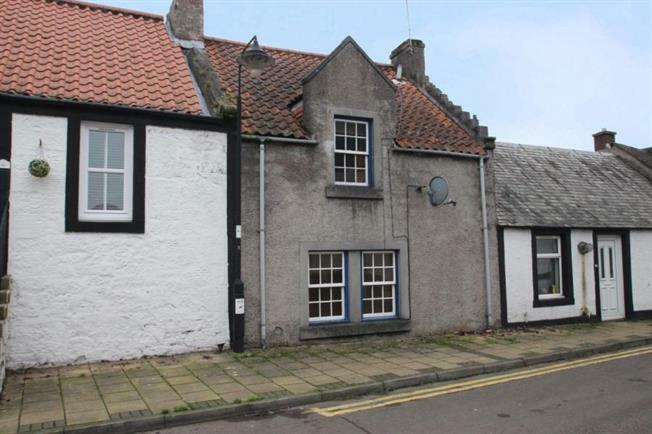 Located centrally within the conservation village of Kincardine, this charming mid terraced cottage has accommodation formed over two levels. From the main reception hallway, the accommodation on the lower level comprises of a bright front facing sitting room, a lovely contemporary kitchen complete with a range of wall and base mounted units with a utility area to the rear. Upstairs to the double sized bedroom with storage and a four piece bathroom with a separate shower cubicle is also located on the lower level. This fine home provides a number of practical features to include gas central heating, storage facilities throughout and allocated parking to the rear. Kincardine provides shopping, schooling and civic amenities. The nearby large town of Falkirk and city of Stirling and town of Larbert all provide main line rail links to both Glasgow and Edinburgh. The area proves popular with commuters seeking access via surrounding road and motorway networks to centres of business throughout the central belt.